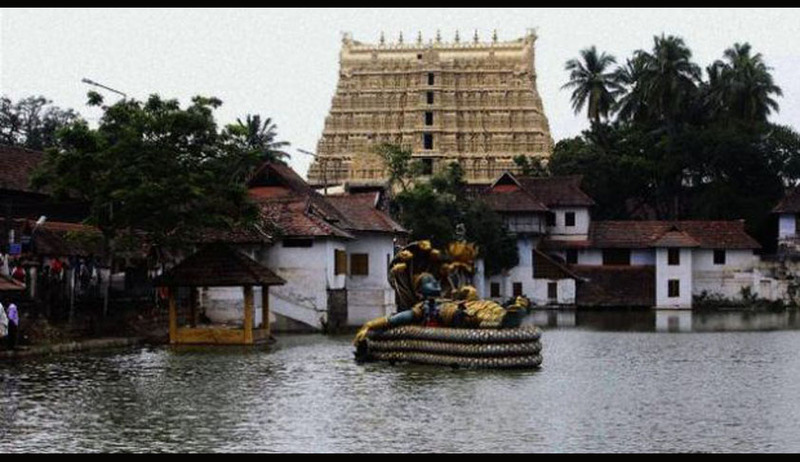 A division bench of Kerala High Court has stayed an order of Sree Padmanabha Swamy Temple executive officer issued recently granting certain relaxations regarding the dress code for women to enter the Thiruvananthapuram temple. The executive officer of the temple had issued an order permitting women to enter the temple wearing churidar. The order was assailed before the high court by one Rani V Nair, a devotee of the temple. She challenged the constitutionality of the said order before the single bench as incompetent and violating religious freedom guaranteed under the Constitution. The single bench, thereupon, had referred the matter to be considered by the division bench dealing with Devaswom matters. Upon consideration of the matter, the Division Bench of Justice Thottathil B Radhakrishnan and Justice Devan Ramachandran restrained the implementation of order. It opined: "The opinion rendered by Sri N.P. Parameswaran Namboodiripad，Nedumpilly Tharanalloor Mana, who is the thanthri of the temple, is to the effect that the traditionally existing dress code, which is being followed, is to be continued. This means that dress code followed for men and women to be followed in Sree Padmanabha Swamy Temple has to be presently in the manner in which it was being permitted earlier, that is to say before any controversy as to whether churidars could be worn by ladies entering the temple, The status so obtained includes exclusion of churidar." The bench remarked: "The said situation will continue for the time being, having regard to the views expressed by thanthri."